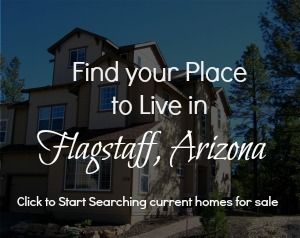 What is unique about buying a home in Flagstaff? Buying a house in Flagstaff, AZ? Episode 3 of Experience Flagstaff highlights the Top 5 tips you need to know. There are lots of tips that I could give you. In fact, when we at Team Three 23 real estate group first start working with a buyer we schedule a 30 minute consultation – either in person or over the phone – because there are a lot of things we need to discuss about the upcoming process. But any real estate agent anywhere in the world should be doing that. And with good reason. Buying a house varies from location to location. Each town has different nuances that you should know about when you are seeking to buy in that area. And even if you’ve been in that area for a long time, there are things that often don’t cross your mind. But for those of us that are professionals in real estate, we see these things all the time. Qualify with a local lender. Big banks, out of town lenders, and the click-to-qualify lenders you find online are not your best options when buying a house in Flagstaff. Don’t be afraid of alternative utilities. It’s very standard in Flagstaff to have utilities that are not “city services.” Wells, cisterns, septic – we have it all. And we have it pretty well figured out. So don’t be afraid of buying a house that has systems that you don’t understand. We can help you with the education process, and you’ll be a pro in no time. Understand Pricing. Want to buy a house with acreage in Flagstaff? You aren’t going to find it on the cheap! In the episode, we look at recent values on 3 different lots that sold in the past month in different areas of town. Research neighborhoods. Flagstaff is a small town, but we have a very diverse offering as to what you can get. Looking for a cabin off the grid? Or a luxury home in a golf community? Maybe something close to town with acreage? There are lots of variables on what you can find – and at what price point. Work with a local real estate agent! You need someone who knows the nuances of Flagstaff, so choosing a local agent is your best bet. Listen in for the “Hidden Gem” challenge – there is a hidden gem in each episode. Each one gives you a challenge that you’ll complete over at our Experience Flagstaff Facebook Group! Thank you so much for joining us. Please subscribe. And leave a comment below if you love Experiencing Flagstaff, too! Posted in About Flagstaff, Experience Flagstaff Podcast, Podcast and tagged Experience Flagstaff, Flagstaff Real Estate Market, Living in Flagstaff.